Last evening, I watched “The Music of Andrew Lloyd Webber” musical event, rekindled my love for this song, which I’ve not played on piano for years. So I decided to record my rendition here for your enjoyment. As for the show, it’s enjoyable, allowing me to listen to snippets of all the musicals that Sir Webber wrote. The Marina Bay Sands Grand Theater is magnificent. Andrew himself was present – in the form of video – which drew the most laughs as he shared some of his honest views. I’m not exactly a fan of live performances because in most cases the sound balancing does not do justice to the performers as well as listeners. In this case, some of the musical numbers had overpowering accompaniment while a few had the singers putting the sound system to the test when they sang at the top of their lungs. I also don’t quite like the renditions of some songs but well that’s a personal preference. 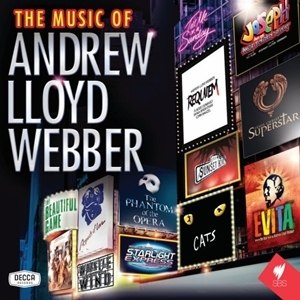 In short, a good effort to present a compilation of Andrew Lloyd Webber’s famous musical pieces in a relatively static stage presentation filled with looped video projections, sparse stage choreography, and 100% raw vocal prowess.